In most industries today, finding a job is very competitive. Whether you’re hoping to work in business, healthcare, science, the arts and media, or even retail and sales, you’ll be up against other applicants who’re all fighting for the position. Because of this, successfully finding a job means that you have to make yourself highly employable. Depending on the jobs that you’re looking for, there is a range of things that you can do to help employers stand up and notice what you’ve got to offer. We’ve listed some of the best ways to improve your employability in almost any industry. Having a full driving license is not essential for every job, but it can certainly be helpful. Many jobs in healthcare require employees to have their own transport, and it’s not uncommon for top sales and management companies to provide employees with company cars that they will be expected to drive. Getting your driving license usually takes a few months if you pass your test the first time, and will help you to widen your list of potential career paths. Visit toptests.co.uk to start practicing for your driving theory test. Voluntary work can definitely look great on your CV. Not only does it show that you’re passionate enough about a cause that you’re willing to donate your free time, it also shows that you are hard-working and don’t shy away from helping out, even if you’re not getting any payment in return. Volunteers are needed in many different fields, from helping in UK food banks, charity shops and care homes to volunteers who travel abroad and help with projects in developing countries. Today, employers are looking for candidates who can demonstrate a range of transferable skills. These skills can be used in both your personal and professional life, and include things such as good time management, the ability to build good professional relationships, leadership and team-working skills, research skills, and the ability to remain calm under pressure. The preferred skills will differ depending on the industry that you’re hoping to work in, so make sure that you read job descriptions carefully to find out exactly what it is that potential employers want. Learning another language is not only a great hobby, it can also open a range of further work opportunities for job seekers. Whatever language you learn, you will be able to then consider working in that country. Along with this, candidates who speak a second language are often in high demand by large global companies who have offices based throughout the world. A good idea is to learn a language such as Spanish or French, which is spoken in various countries, as this means that you’ll be able to find even more potential destinations for work. Finding a job today can be tough when you’re up against a lot of competition. 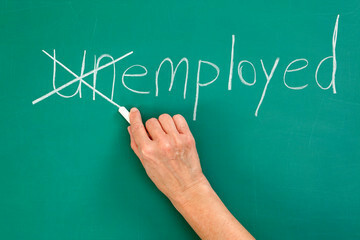 Along with getting education and experience, there are many other things that you can do to improve your employability.